Nice Beach Hotel is a nice option in the Ochheuteal Beach area. This new-build hotel offers excellent value for money just off of Ochheuteal Beach. Nice Beach Hotel has 60 rooms, with several room types. The rooms are decorated with temple artwork and photographs of Cambodia and have air-conditioning, LCD TVs, electronic safes, hot water, bathtubs, and WiFi in the rooms. Standard rooms have shared balconies and less impressive views, while deluxe rooms have sea views and private balconies. They offer one or two beds for two adults, plus there’s a VIP/family room that has three beds and sleeps up to five adults. Nice Beach Hotel. Pretty nice. The hotel has a cafe, bar and restaurant on the premises, but you’re also very close to lots of cheap local eating options, including nearly a dozen Khmer BBQ restaurants just down the road. The staff are very friendly and always willing to help a guest out with tourism advice. They also have a reasonably-priced laundry service for $1/kg. Rooms with a view at Nice Beach Hotel. Prices range from $35 to $60 in high season, with prices in low season $10 less. Often you’ll find better deals for Nice Beach Hotel on Agoda than if you book in person. Given that the hotel is fairly new, and that all of the furnishings and decor are in good condition, the prices are hard to beat. 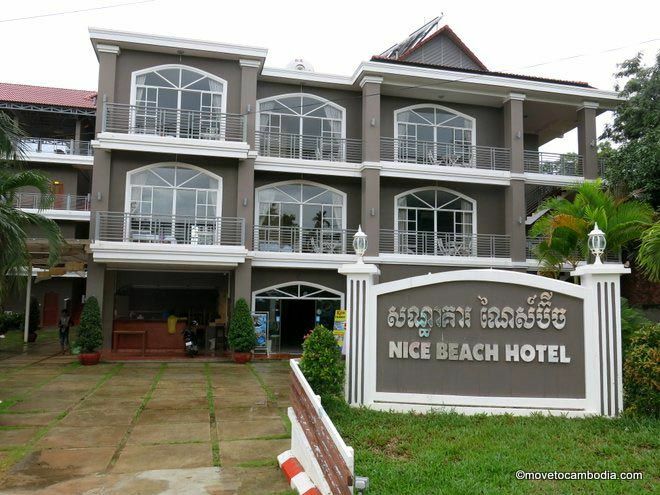 → Check prices and book a room at Nice Beach Hotel on Agoda now. 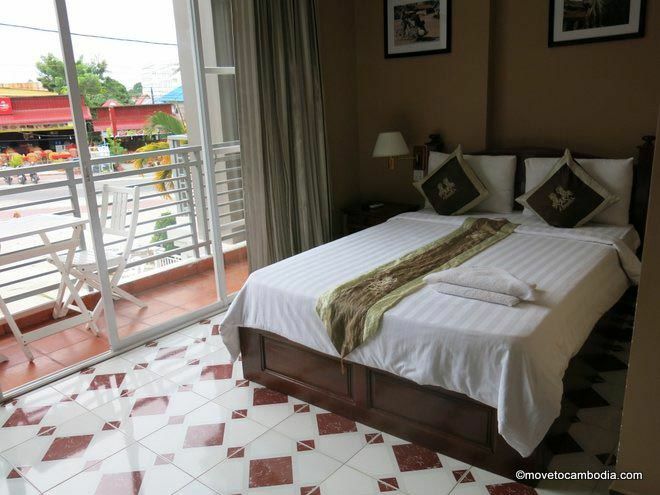 → Check out our reviews of other Sihanoukville hotels and accommodation.